Mariella Frostrup interviews Julian Barnes on The Book Show on Sky Arts about his previous book Arthur & George, which was shortlisted for the Booker Prize in 2005. Whilst we are in visual mode, quick mention of two films adapted from Julian's books. French film : Love etc from 1996 staring Yvan Attal, Charlotte Gainsbourg and Charles Berling. 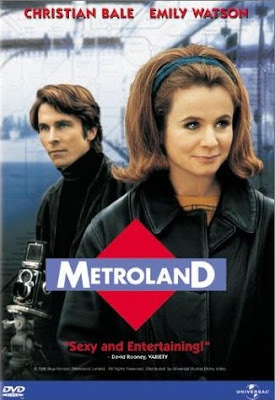 Metroland from 1997 staring Christian Bale and Emily Watts. Later today: The final part of my interview with Julian.